Whether you’re growing radishes in containers or your garden, this list of 20 Types of Radishes is very useful. 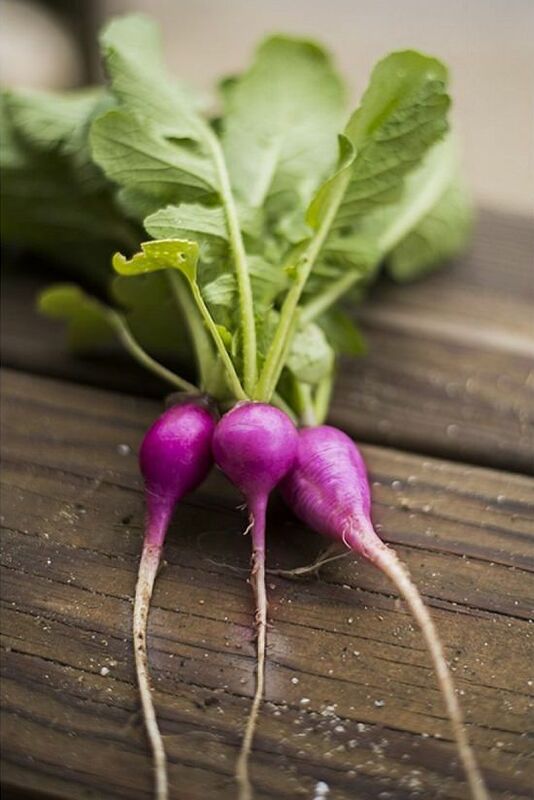 Radishes come in many sizes, shapes, and colors like black, white, red, pink, green and purple. 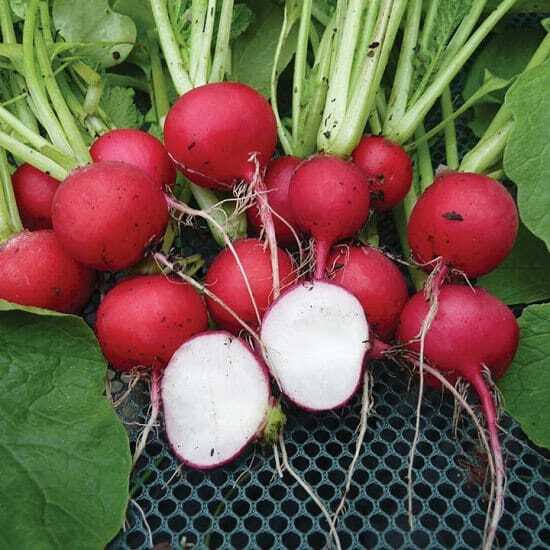 Taste is different as well, and from that picking the best radish variety to grow is difficult. 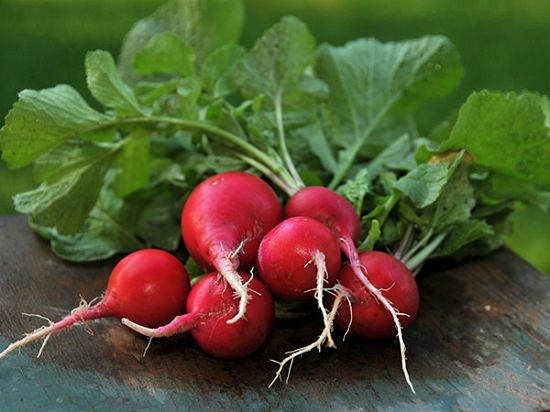 For your help, we’re listing 20 types of radishes and popular varieties. You can plant them and experiment, which one you like. If you’ve any favorite, mention that in comments. 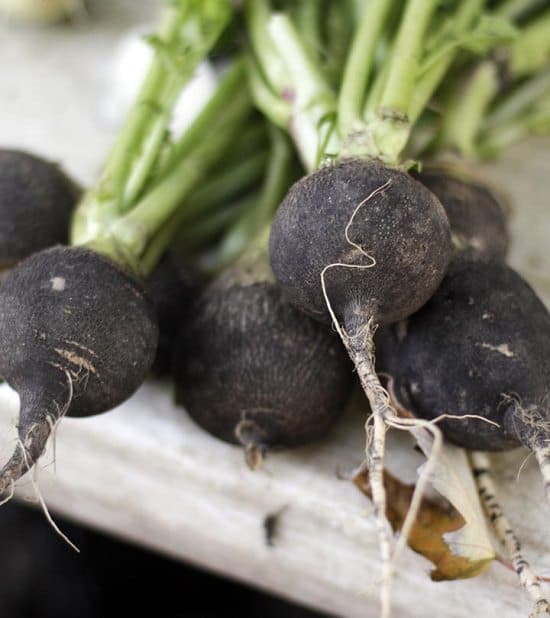 Watermelon radish is slightly sweet and less peppery than regular radishes. Outside, it is between beige and white and a little green. But as the name promises, inside, its color recall a watermelon, a white border around the bright pink. 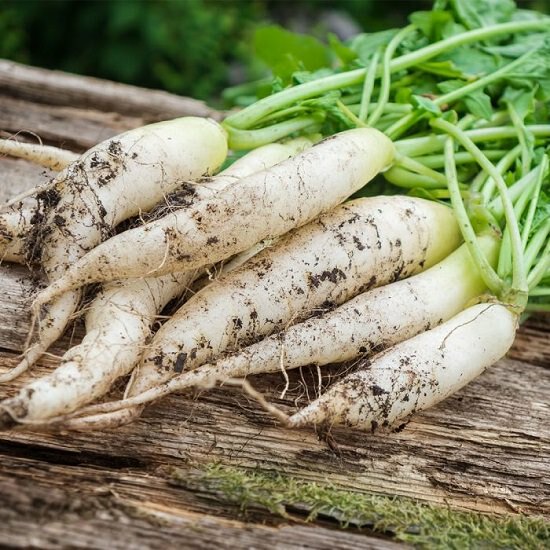 It’s a type of daikon and takes approximately 50-60 days to reach maturity after planting. 3 inches of spacing is sufficient for its growth. 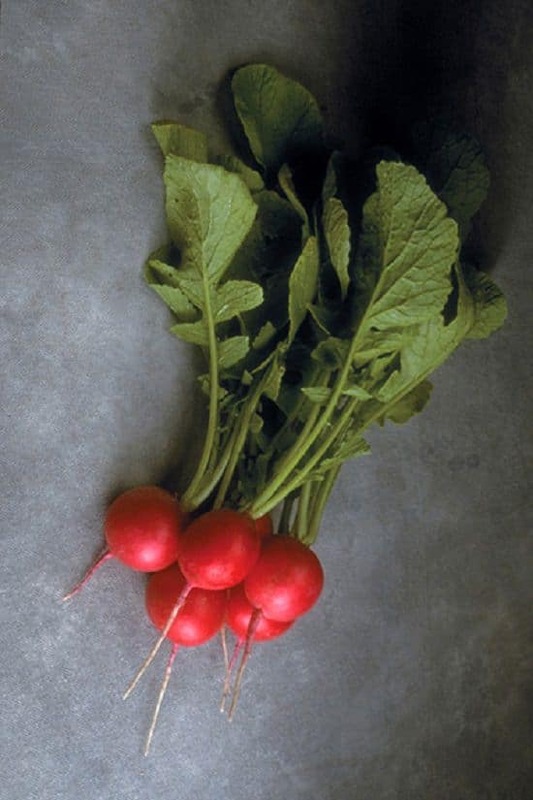 The French Breakfast radish is red, more elongated than round radishes and with a white rounded tip. It’s mildly acrid and has a pleasant crispy taste. 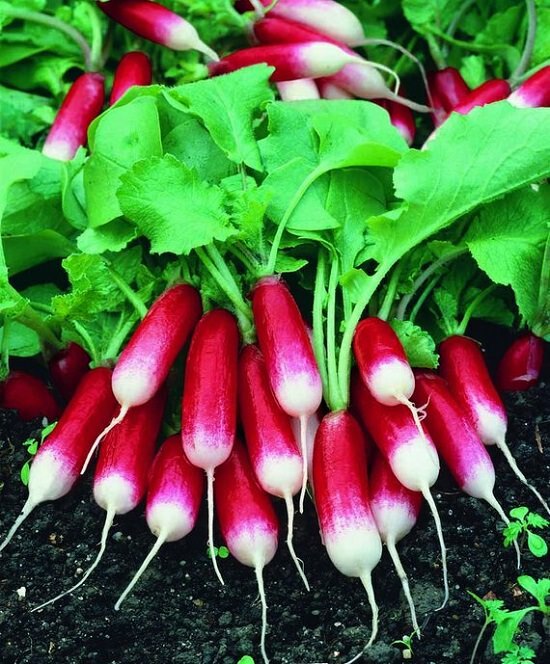 It is one of the early maturing varieties of radish, ready to harvest in about 25-30 days after planting the seedlings. 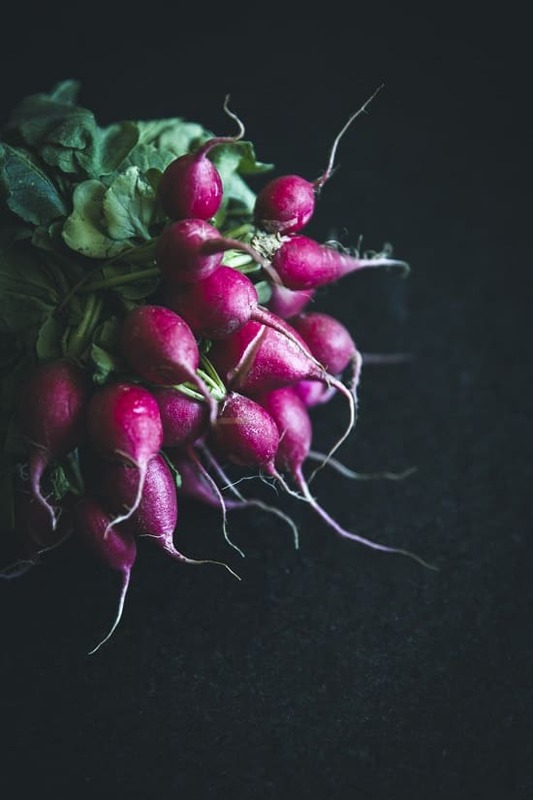 The radish varieties like Pink beauty, Pink Celebration, Pink Summercicle, and Lady Slipper are known for their beautiful pink skin color and has a rounded or slightly elongated shape. Suitable for container gardeners, all these small and early maturing varieties can be harvested just in a month after planting. 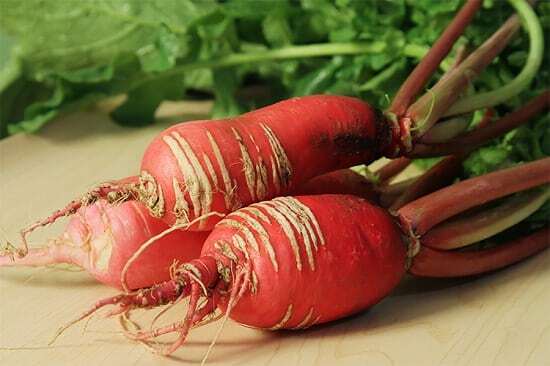 If other radish varieties are too spicy for you, its sweet and mild taste with a very earthy flavor will attract you. This polish variety has a round shape and unique deep purple color. This is also an early maturing variety and takes 30-40 days to get ready. 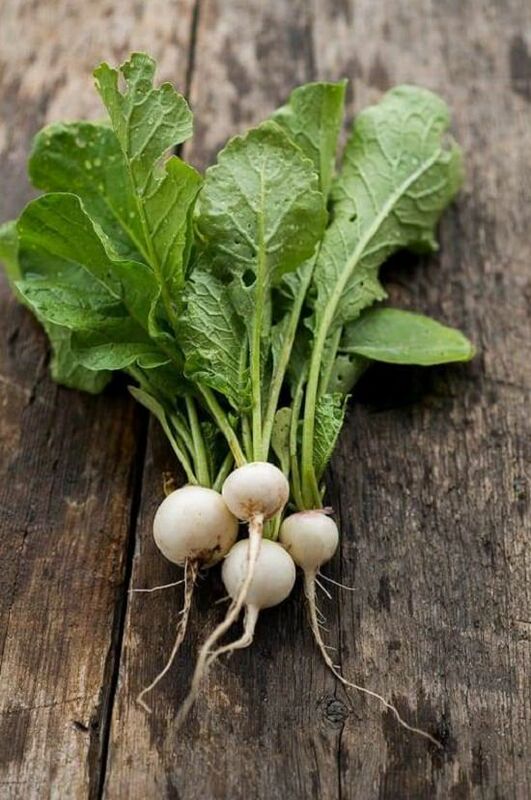 White outside and inside, it’s one of the best-tasting radishes– The firm flesh is mildly pungent, crispy and juicy. Harvest this variety in just 30 days and leave space of around 3-4 inches for each seedling to grow. 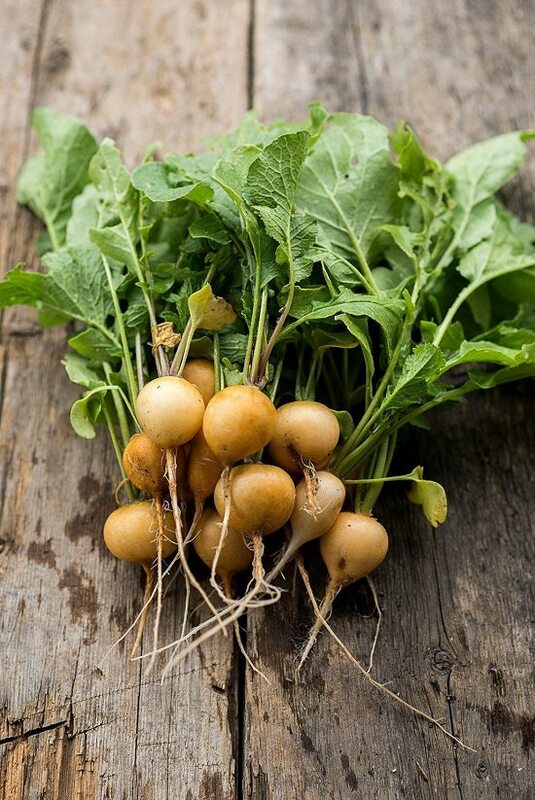 This unusual yellow radish has a brown-yellow, oval-shaped skin that makes it look like a small potato. It has a strong spicy radish flavor. Get ready to harvest in a mere 30 days. The plant has small tender leaves, perfect for salads and other green recipes. This fact also makes it suitable for container planting in reduced planting distance. 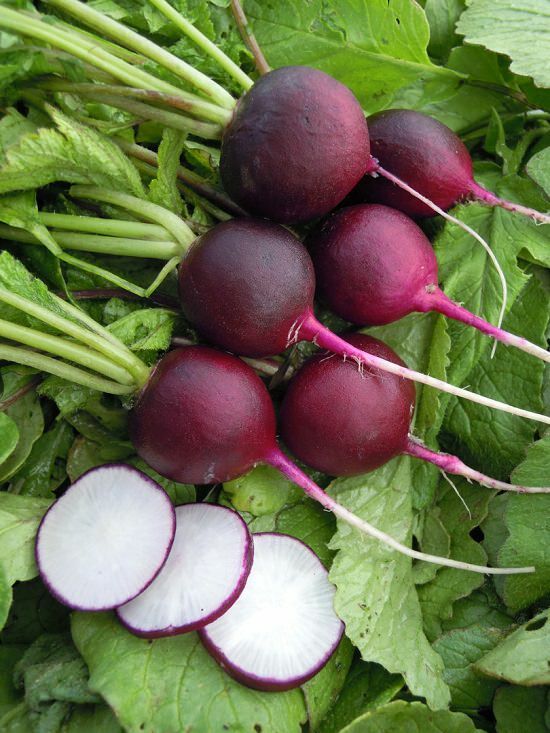 This round radish variety is one of the most common among gardeners. The taste is crispy, sweet, and pungent, good for salads. This early maturing variety can be picked as soon as in 23-27 days after the germination. This large size white radish can be 14 inches long. It has nice, delicate, and crispiest flavor with slight sweetness. It takes time to mature, around 60 days. You’ll need to provide at least 4 inches of spacing to grow them. 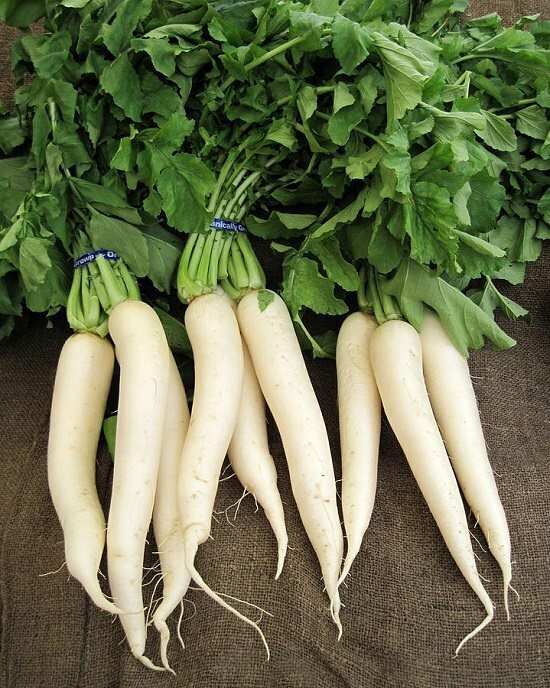 The radish, white icicle has cylindrical 5-6 inches long root, similar to daikon. It tastes best when picked young, can be eaten alone or use in salads and recipes. It takes around 30-40 days to reach maturity. 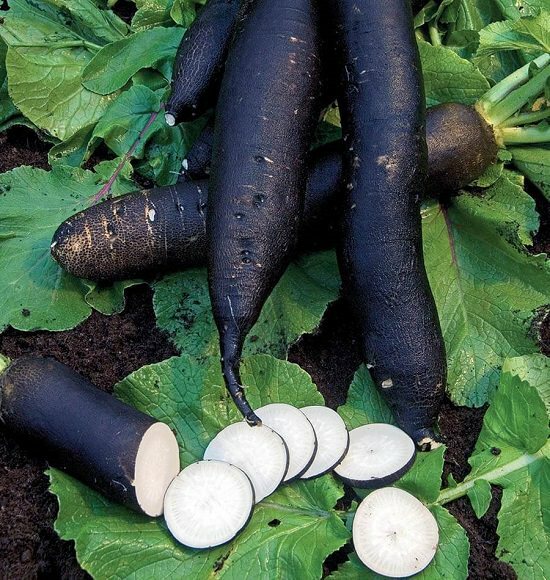 Growing black radish varieties can be really fun as they look different and taste unique. The shape of the round variety is spherical, but the flesh is creamy white, and the flavor is strong and pungent as compare to red and white radish cultivars. 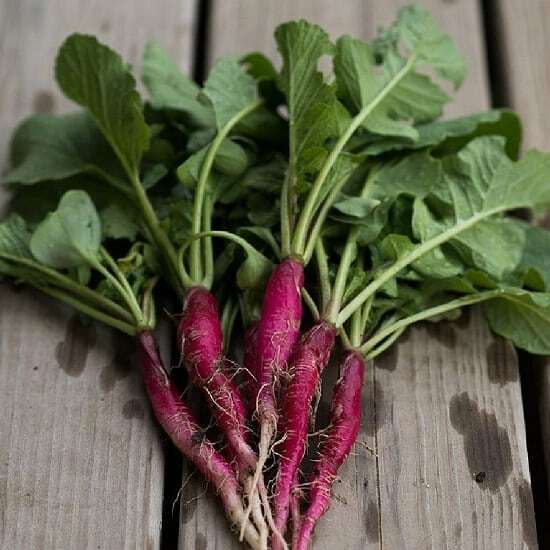 The Chinese Rose radish has an elongated shape, it’s purple-red on the outside, and white with pink veins on the inside. Particularly resistant to lower temperatures, it develops early even in autumn. It has an extremely particular taste, which alone is worth the experience of cultivation: initially, it appears on the palate as a delicate taste, but suddenly the senses are flooded with a surprising pungent sensation. 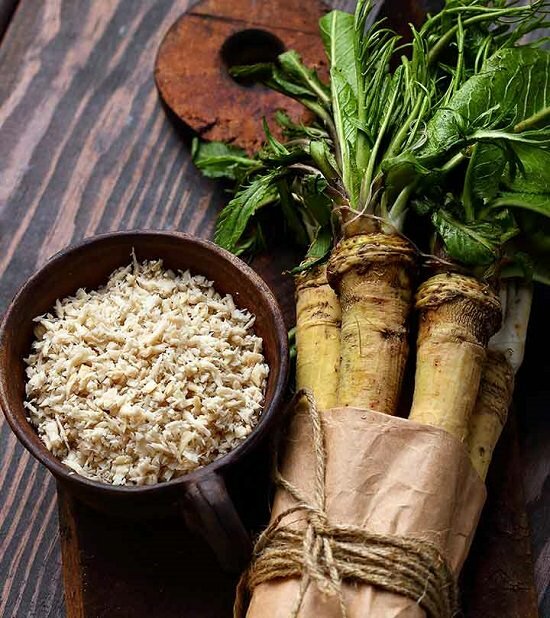 If you are looking for a radish that won’t leave a bitter taste in your mouth, horseradish is the one for you. Although it’s the roots which are sold in the market the greens are also edible. The best season to grow them will be in the fall or winters and for use in springs they can be stored in the fridge. You’ll be hard pressed to find a much easier and fast harvesting variety of radish than this one. Ready for harvest within 25 days it’s globe-shaped variety and comes under round radishes. The outer surface is exotic scarlet red with crisp white flesh on the inside. 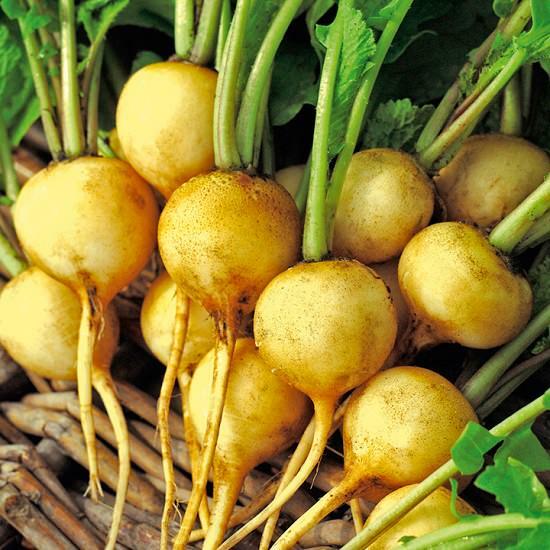 Named after the Greek god of the sun, Helios is another round radish variety. This small sized plump radish grows to about 2-3 inches and is bright yellow. Unlike most other radishes they are sweet tasting and goes great with salads. 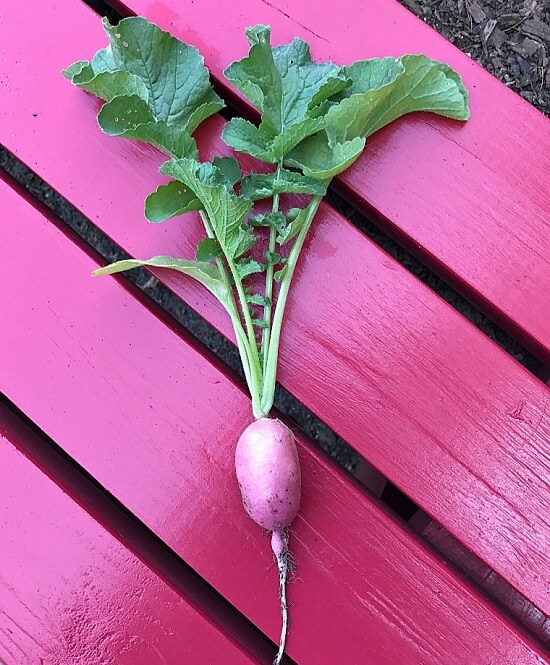 Commonly sold under this name because of the shape resembling easter eggs, this variety of radish is available in an array of white, pink, red, purple, and lavender color. To avoid them from turning hard and bitter harvest when they reach a size of one inch in diameter. It gets this unique name because the shape somewhat resembles slippers. 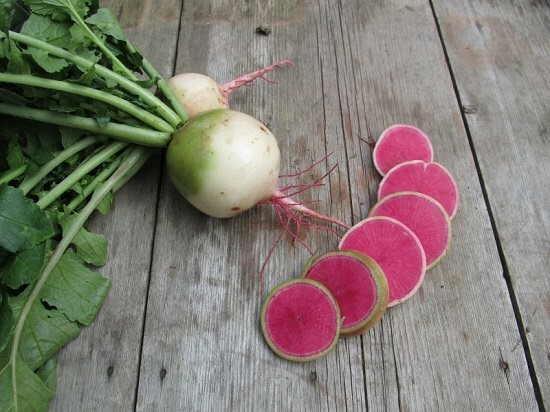 The bright and shiny pink color of this radish appeals to the eyes. The inner flesh is white, crispy and sweet which appeals to the tastebuds. As the name suggests this radish quite long tapered root and can reach a length of 18 centimeters. The green top is short as the plant’s energy is redirected towards the growth of roots. The scarlet red roots and inner white flesh possess a flavor which is not spicy or pungent but mild and sweet. This is another variety of black radish but instead of being round its black root can be around 9 inches in length. Despite the difference in shape the flavor and nutrition value remain the same in both round and long varieties. You can either steam, stir-fry or braise the inner flesh for edible use. It’s hybrid radish which unlike its other companions does well in warm weathers. The smooth and shiny red roots are rounded with a diameter of two inches when mature. 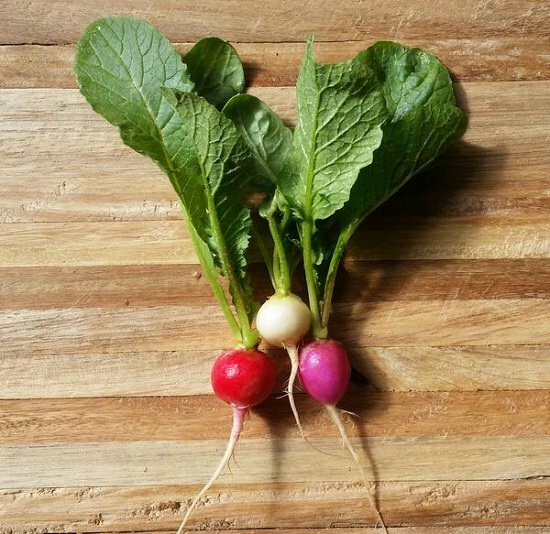 Whether it’s bunching or pithing, this sweet tasting radish holds well. The color of this variety ranges from purple to burgundy. Growing up to one to two inches in diameter, the sweet, crispy flesh is a treat to both eyes and tongue. Because of the vibrant color, it can be used for dressing buttered toast or crackers. Serve these bright, crunchy delights all on their own, with a bit of butter and salt as the French like, or sliced and tossed into salads.